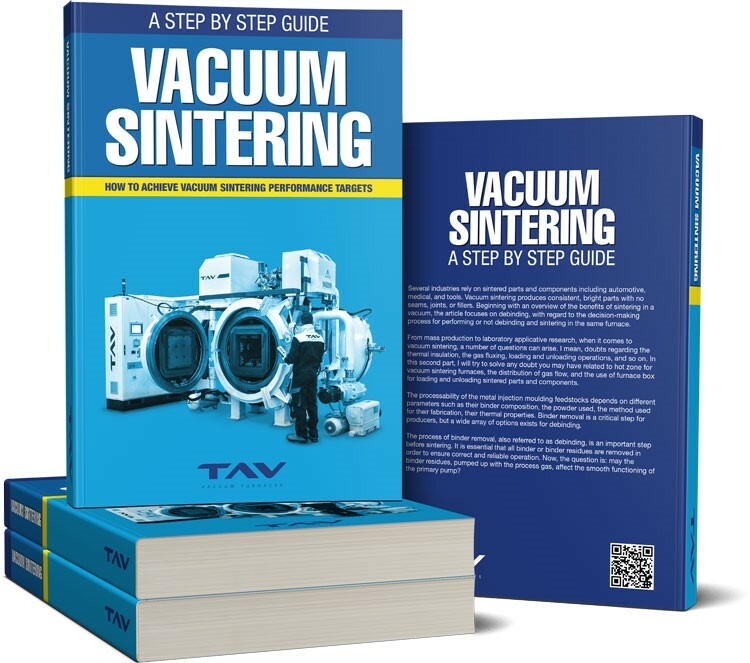 Here is the third part of the article on vacuum sintering. 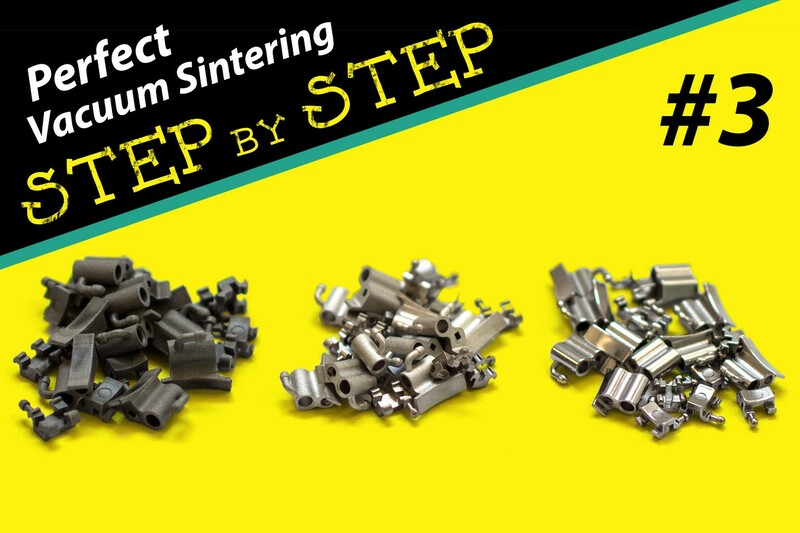 The first part of the article provided descriptions of two processing steps, debinding and sintering. 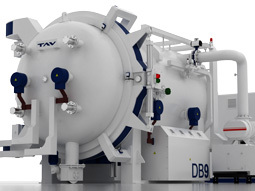 While the article in the second part focused primarily on vacuum sintering furnaces through its various aspects: hot zone, gas fluxing, and loading/unloading operations. Now, we are going to closely analyze the aspects that concerns the removal of binder. As the binder that comes from the parts has to be removed from the kiln, the decision has to be made between burning it or capturing it in a condenser. An initial selection criterion (compulsory) is to consider whether the process is carried out under partial pressure (i.e. less than atmospheric pressure) or in overpressure (i.e. greater than atmospheric pressure). In the first case, to extract the gas it must necessarily pass through the pumps and, although the binder must be removed before exiting the pumps, since the burner can be installed only on the waste outlet, it follows that capturing the binder in the condenser is the only feasible choice. If instead the debinding is done only in overpressure, we are then genuinely able to make a choice. In this case, condensation generally remains the more simple option, as it functions without too many problems in a broad range of gas flow rates and binder percentages. The disadvantage is that the substances captured still have to be disposed of. If burning the binder is required, not capturing it, the cost of disposal of the waste can be avoided but it opens up another series of problems. First of all you have to avoid the binder condensing before reaching the burner, thereby heating the pipework. Then, you have to consider that the burner is already consuming fuel, and in addition must be of a scale that depends heavily on the gas flow rate and the percentage of binder required. If the concentration of binder significantly exceeds the expected value, and this can also happen very simply because the cycle has been configured by mistake with too fast a ramp at too high a temperature, the concentration of residues on the outlet can also reach percentages that could give rise to explosions. With all of this, one thing that is worth clarifying is that the flames usually seen on the outlet of kilns that use combustible gases (hydrogen, for example) as the process gas, were not originally designed to burn the binder disassociation residues to reduce emissions to the legal limits. Rather, it is solely for disposing of the emitted hydrogen safely, thus avoiding hazardous, potentially explosive atmospheric concentrations being created outside of the kiln. We know that some of our clients have made measurements which showed that the outlet value is within normal anyhow in some cases, and therefore they use it as the disposal method, but the kiln manufacturer is not generally able to give such guarantees. The correct system required for thermal disposal of binder residues with a guarantee of the results is in actual fact an incinerator, i.e. 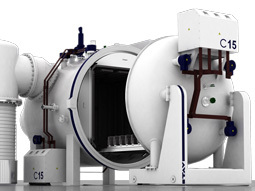 a genuine combustion chamber, with a volume scaled according to the gas flow rate, to the maximum percentage of binder residues, staying the time necessary for total oxygenation of these. It must also have a burner able to maintain this chamber at the reaction temperature scaled according to the dissipation of the chamber and the flow rate of emitted waste gas. Assuming that the option was taken at the previous step for a binder condenser, many clients ask us how the condenser we recommend is made. The correct answer is: it depends on the binders that you use! But let’s see in general the composition and the characteristics of a good condenser. To design a good condenser, it is important to understand the characteristics of the binder to be condensed, including the temperature at which it liquefies and that at which it (potentially) solidifies, as well as the maximum quantity envisaged per cycle and how many cycles it is intended to carry out cleaning operations. The main discriminating factor concerns the fact that the binder dissociation residues in ambient conditions are solid, as in the case of binders based on paraffin or similar, or liquid, as in the case of PEG (polyethylene glycol) or similar. In the case of liquid residues, operation is simpler: the two main aims of the design are to guarantee a large exchange surface area cooled to condense the greatest possible proportion of binder and an entirely downward path which allows the condensate to percolate towards a collection vessel which must be emptied periodically. This cleaning procedure is then easy to automate, as all of the residues can be discharged in each cycle into a central collection vessel without requiring any operator intervention. If the liquid residues may be accompanied by some powder particles, these can be collected using paper-type filters, downstream of the condenser. If instead there may be solid condensates, operation becomes much more complex. In the first place, you have to avoid condensation occurring before the condenser proper. If not, the condensates could block the outlet pipe or interfere with the correct operation of any valves. 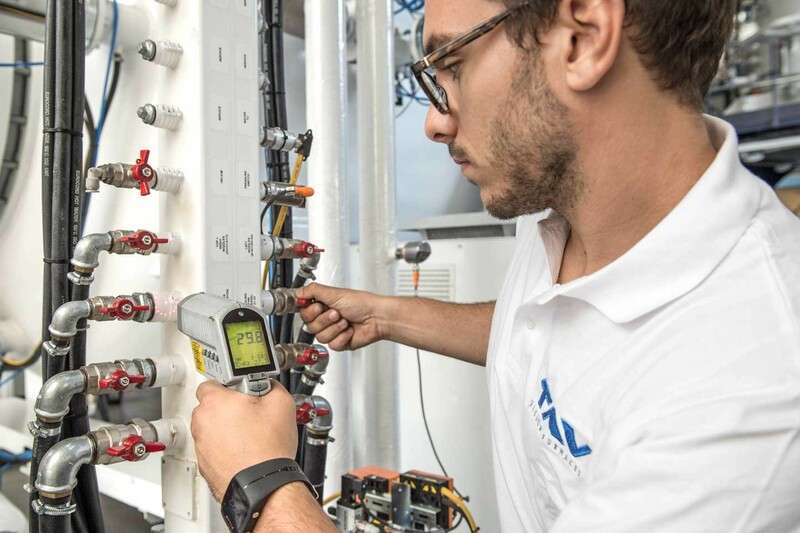 It is therefore necessary to use appropriately heated connecting pipework and valves. 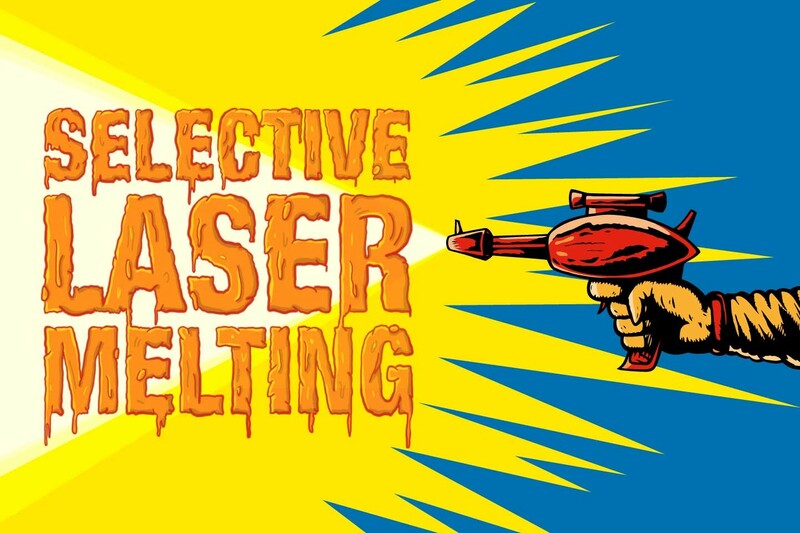 However, even when capture is achieved, you have to avoid conduits that are too narrow because these too could be blocked by solid deposits, and this definitely limits the efficacy of the heat exchange. Fortunately, this type of binder condenses easily even without using particularly large surface areas or particularly low temperatures. You then have the problem of cleaning. For solid deposits, there are usually two ways: manual mechanical removal or liquefaction by heating the captured material. The second way has the benefit of not requiring manpower, but still requires time and energy expenditure. 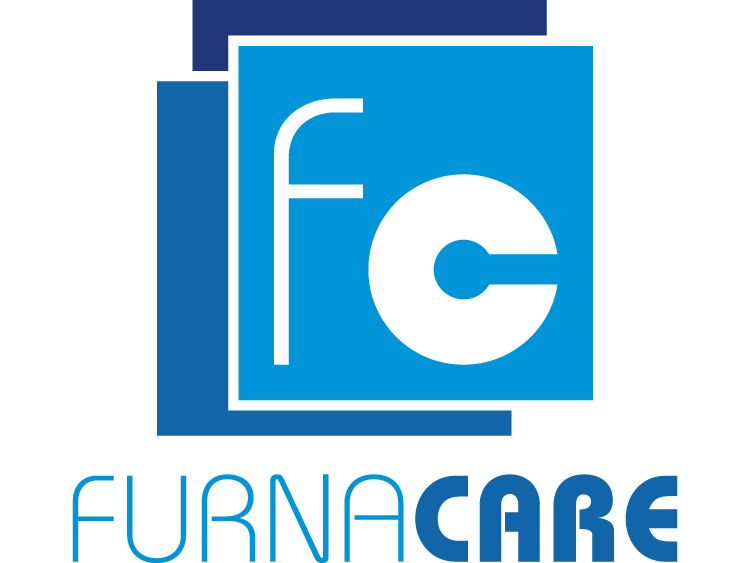 In our experience we have seen that you can exploit the low cooling that this type of binder needs to achieve very fast captures for removal and cleaning, which has been welcomed positively by our clients. 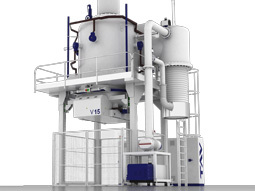 So far, I hope to have given you some useful information on vacuum sintering furnaces. 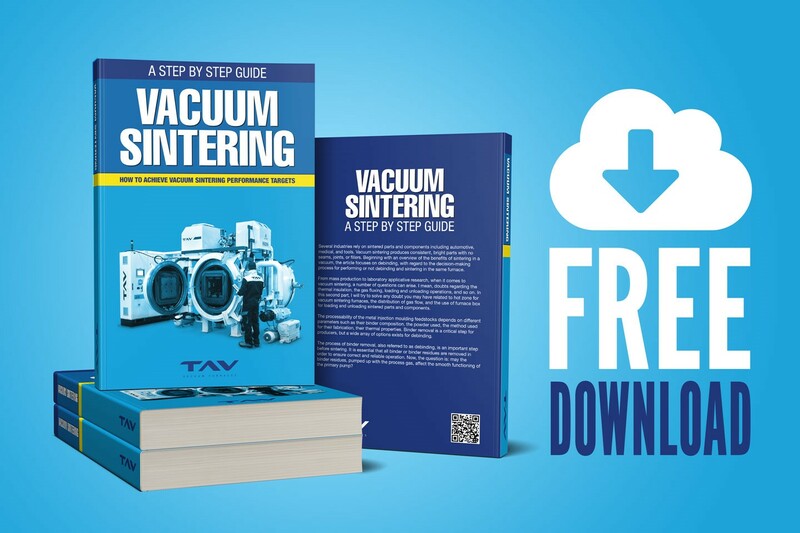 If you have not yet read the first article on debinding and sintering and the second article on the key features of a vacuum sintering furnace, hurry up and close gaps! The fourth article is coming up soon with additional elements! If you have any questions, comments or concerns regarding sintering in vacuum ovens, I’ll be more than happy to help you with this topic. Just ask! You are the reader number 10,319.